Hello, I’m Rebecca Martin, founder of Conscious Skincare, a multi-award-winning organic skincare and body care company, based on the gorgeous west Wales coastline. Like many of you, I live with a couple of health issues, asthma and an under-active thyroid, which mean I have to be careful about what I put on my skin and what I expose myself to. In fact, it was a severe allergic reaction that my husband experienced that kick-started Conscious Skincare in the first place. My husband got some wood stain on his skin and didn’t realise. It got into his system and he became very ill and hypo-allergenic to just about everything so I scrambled around, going through all my notes to come up with products he could use safely. It was a very scary time in our lives. Day to day, an under-active thyroid means very dry skin, random pains for no reason at all, fatigue, anxiety and intense feelings of being ‘overwhelmed’. I have learned over the years to manage the anxiety with yoga, exercise, breathing and meditation but this anxious state means higher levels of cortisol in my body which can lead to burn out and worse still, organ damage so keeping an eye on how stressed I’m feeling is key! With my thyroid, I can manage and control how I respond; avoiding stressful situations, a good diet and taking good care of myself. My asthma however, is a different beast! It started after a whooping cough vaccination when I was 6. The main trigger is smell which is usually completely out of my control! It was terrible when I used to commute on the tube in London; body odour, stale air and my biggest nightmare, other people’s synthetic perfumes and after-shaves. Shopping was like running the gauntlet. Have you noticed how department stores force you to walk through a chemical mist as you enter the store? The cosmetic counters are right by the main entrances. These chemically laden mists are full of allergens and known toxins and you walk straight into it! It kills me every time and I have to cover my face, close my eyes and literally run through it. There couldn’t be more asthma and allergy triggers in one place if you tried. It’s alarming that many high end designer brands of perfume and after-shave still routinely contain known carcinogens and allergens. The Campaign for Safe Cosmetics run by the Environmental Working Group in the U.S listed 38 secret chemicals in 17 top brand perfume brands. The average fragrance contained 14 chemicals that were not even listed on the label. Amongst the chemicals found were those associated with hormone disruption and allergic reactions. Even more worrying was that many of the substances found had not been assessed for safety in cosmetic products. There couldn’t be a stronger argument for ditching perfumes and after-shaves! When I started Conscious Skincare, ‘parfum’ would never have a place in our products. We only use high quality pure essential oils and we only use them for the benefits they bring to your skin, not for fragrance. We have launched a specific range which is free from any essential oils called ‘Pure’. Perfect for those of you who, like me, your allergy triggers are smells too! 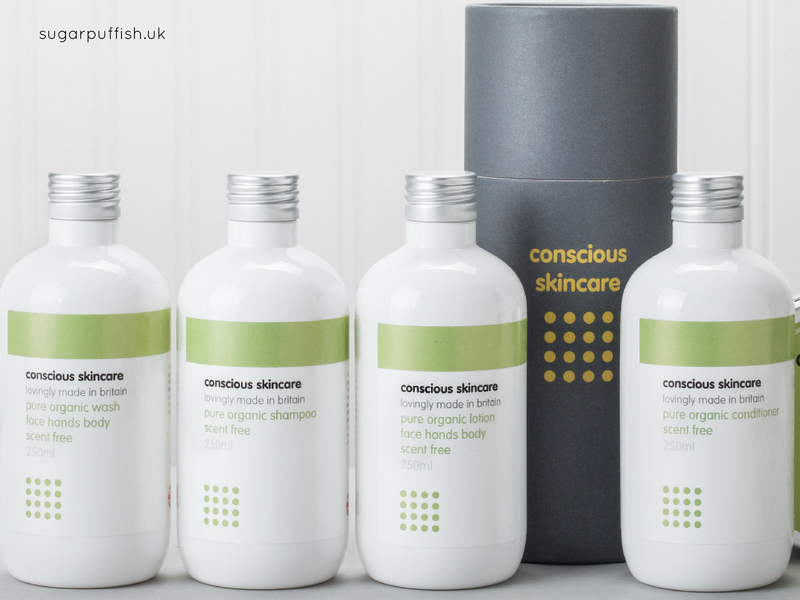 To see the full range, go to www.conscious-skincare.com/fragrancefree and to find out more about us.